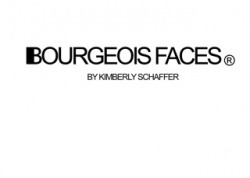 Bourgeois Faces is the brainchild of Kimberly Schaffer. Kim has been a professional Makeup Artist based in Chicago, IL for several years and has trained with some of the industry's greatest celebrity artists. Although her specialty is Runway, where she can be seen working alongside top designers, Kim is highly experienced in Beauty, Fashion, Editorial, Video and Film. Along with spreads in notable fashion publications, Kim has also been blessed with opportunities to provide makeup services for various film projects. As the Online Fashion & Beauty Editor for HUSH Chicago Magazine and the Key Artist, Beauty Buyer and Writer for the showroom of International Fashion Designer Borris J. Powell, Kim finds pleasure in researching products and trends and introducing them to the forefront for eager readers. When she's not prepping for her next project or researching model stats, Kim can be found overseeing the products for her Cosmetic Line Bourgeois Beauty Cosmetics. For booking information and Runway Sponsorships, please Contact Kim @ KimberlySchafferMUA@gmail.com. "Go BOURGEOIS or go home!"